search pikachu and charizard in your deck and put them to your bench( if only you have pikachu and charizard ). 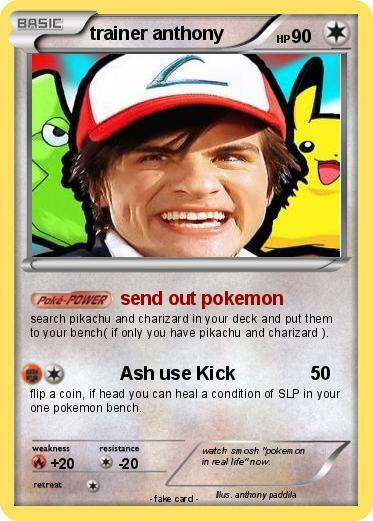 flip a coin, if head you can heal a condition of SLP in your one pokemon bench. Comments : watch smosh "pokemon in real life" now.